Smashwords: Are Serialized Ebooks a Bad Idea? Are Serialized Ebooks a Bad Idea? Charles Dickens didn't invent serialized novels, but he's certainly one of the best known authors to use the serial approach. Whereas the traditional story has a beginning, a middle and an end, the serial novel is often characterized by the never-ending middle. The author starts the story, and then releases new installments over time. I wonder what Charles Dickens would think of serialized ebooks. The topic is on my mind today because when I woke up this morning and looked at the Smashwords home page, it was dominated by five installments of a single ebook, each about 10,000 words. The other day, I asked another author to stop posting his series of 2,000 word ebooks. At Smashwords, we have a strict policy of only publishing complete, finished works. If you want to publish a partial book, or a work-in-process, we don't want it, because it doesn't fit with our mission of connecting a reader's eyeballs and wallet to the finished works of our indie authors and publishers. If a customer purchases an unfinished, incomplete or partial work, they feel ripped off. Yet we face a quandary with serialized books. They occupy a grey area. They technically don't comply with our terms of service, unless each serialized chunk can stand alone as a complete story. But whose job is it to judge whether a story is complete or not, or long enough to qualify as a standalone work? I created Smashwords to eliminate gatekeepers, not to become one. I don't want to stand in the way of an author's creative expression, or fail to serve a reader's desire for serialized works. So I wondered, are readers interested in serials? Am I wrong to discourage serials on Smashwords? To gauge reader interest, I posted a short query over at Smashwords Site Updates, inviting Smashwords customers to share their opinions. Concurrent with that post, I posted an online poll at MobileRead, where I asked readers to share their opinions on serialized ebooks. The early results surprised me. With only 36 votes recorded so far, 91% of respondents claim they either avoid reading serialized ebooks, or they never read them. It'll be interesting to watch how the numbers shake out once the vote count approaches a more statistically significant sample size. The comments at MobileRead are even more interesting. Many readers there are passionately opposed to serialized ebooks. The initial results indicate I'm probably correct to continue discouraging serialized ebooks at Smashwords. We're unlikely to outright ban them, because we don't want to get into that gatekeeper role of determining what's complete, and what's not. My hunch is that Darwin's natural selection, powered by reader preferences, will prevent serialized ebooks from catching on. Most writers write to attract readers, not repel them. Lack of immediate gratification - If you enjoy a book, you want to finish it now, not later. Risk - You fear investing money in the serials, only to have the author abandon the project and leave the story unfinished. Cost - A serialized book can be much more expensive than a complete book. Inconvience - It's easier and more convenient to download a single file than multiple files. If serialization of ebooks is permitted, it should only be after the author submits the entire book: then, and only then should the online publisher allow the chapters to be sold piecemeal... possibly on some standardized/automated periodical basis, like once a week. If we were ever to embrace serialized books at Smashwords, I think his approach is equitable to all and makes sense. It would free us from gatekeeping and allow us to enable distribution and merchandising with a fully automated, author-opt-in technology solution. We like automation. However, given the apparent lack of interest in serialized ebooks, for the time being we have bigger fish to fry. And on that count, stay tuned. Cool stuff in the works. Click here to cast your vote in my MobileRead serialization poll. The poll will close in two months. Image credit: Wikipedia, photo of a young Dickens. 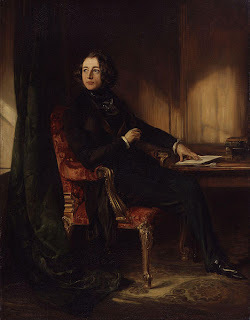 For more on Charles Dickens, see his Wikipedia page. Click here for the Wikipedia page on serialized literature. Learn about Stephen King's well known ebook serialization experiment on the Wikipedia page for his book, The Plant. Mark, perhaps you should clearly differentiate between serialized books, and a SERIES, which would include multiple volumes of a continuing saga, or story. You will note that I have three volumes of Spirit of Union on SW, each in the 90 to 100,000 word category. That, IMO, would not count as serializing my story. Your thoughts? I'm all for stopping incomplete work clogging up the lists. I have two children's books up on Smashwords and I noticed a while ago that there was an author releasing very short chapters, filling up the list with zero-cost books. At that point it's about spamming and it forces other (complete) books down the list. Perhaps a "Is this a complete book?" checkbox. If unchecked then the book goes into the serial list -- and does not appear in the mainstream lists. There are plenty of examples in poetry of mass spamming. A single poem as a download? Okay, but when there are many many poems by the one person it gets a bit ridiculous. The bestseller and most downloaded lists do filter out chapter-spamming somewhat but it is a bit disappointing to submit a new work and find it pushed back to page eight a short time later by someone submitting eight chapters of something they're never going to finish. I just fear that many serialized books will languish unfinished, providing more grist for the "self-published work is crap" mill. Smashwords is right to limit serialized works. If people want to do serialized works, might I suggest they open a blog or record a weekly podcast? I used a different method for serializing an unfinished work on Smashwords last Fall (yes, in violation of the TOS) - rather than putting up each chunk as a separate eBook, I just kept updating the 1 eBook (and its price) as I wrote & finished the book. People who clicked 'buy' in the first couple of chapters got it for free, and I ratcheted up the price with each add'l chapter until, when it was done, it was a normal eBook price. Readers who were willing to / interested in reading the book as a serialized, unfinished one were rewarded for taking that risk early with a lower price, and by having access to every version of the book I put out. (Smashwords automatically keeps every version of a book an author uploads, and gives readers access to every version put up from the time they buy it on.) With this model/idea, readers got the eBook they paid for, even if it hadn't ever been finished, and authors have the opportunity to both involve their readers in the process of writing the book (like chunked livewriting) and to get financial incentive as they're writing to finish the book. The digital realm offers amazing options that have never been seen before, and saying indie authors aren't allowed to play around with them is, I think, a mistake. I'm also involved in the serialized electronic publishing of books in audio form, via podcasts, and it's a popular, vibrant, diverse, and growing community of readers/listeners and authors/publishers. DailyLit is built around serialized eBooks, though they're predicated on completed works, usually from public domain or large publishers. Both of those successful models for serialized electronic publication have incorporated a form of 'push' - I would love to have a way to easily notify my readers that there's an updated version of one of my eBooks they've downloaded in the past, even without serialization, just for formatting and typographical corrections so that readers always have the best and most up-to-date version. A great tool for non-fiction, something that makes eBooks better than paper books, and which -if authors wanted to- could enable serialized eBooks to grow in popularity. Your poll is what they call a "push poll" The responses you offer do not adequately address the full range of reader reaction to serialized novels. I avoided responding, because while I enjoy serialized work, I don't 'prefer' them but I also don't try to avoid them.' Thus your poll structure pushes respondents into black and white boxes where they might actually feel something a bit more grey, and in this case you're probably pushing them where you want them to go. I love your work at Smashwords, Mark, but you might want to take care the next time you attempt a poll and craft something a little less leading and more neutral and inclusive. I happen to like Teel's approach, by the way. I also felt there might have been more diversity in the responses if there had been an option somewhere between "hate them, refuse to read them" and "love them, read nothing else." I have the first five chapters of a serial bundled together in one book on Smashwords. It's by far the most-downloaded item I have on the site, it has a 3-digit sales rank on Barnes and Noble, and it drives a lot of traffic to my website, where people can read more of it, read my other serial, and learn more about other books I have available. I haven't received any complaints about it and have found it to be a valuable marketing tool, but I guess I should remove it because it's not welcome here. Tony and Queen, you're right. It's a flaw in the survey. If I were to do it over again, I'd definitely add a middle ground option because I'd like to know how many people occupy that spot. I acknowledged such earlier today over at MobileRead. I doubt it would have radically changed the outcome. I think someone else should do another poll, more neutral than my own, and compare the results. Hi Teel, you've always had interesting, forward thinking ideas. There might be some potential there. Your method could also be used to support subscription ebooks, such as possibly ongoing market research that is updated frequently. It would add the dimension of timeliness to completeness. My e-mail feedback was as a reader of serialized fiction; now I'll give my two cents as a writer of serialized fiction. "If I were to do it over again, I'd definitely add a middle ground option because I'd like to know how many people occupy that spot. I acknowledged such earlier today over at MobileRead. I doubt it would have radically changed the outcome." Um . . . how can you be sure of that? I didn't respond to the poll precisely because of the problem with it. In addition to the example of DailyLit, there's the example of Baen Books's Webscriptions, which has been serializing e-books for thirteen years now. Webscriptions has always had a large and fiercely loyal readership. And various professional authors have experimented with e-book serializiations. You wrote on the About Smashwords page: "Its fair to say most readers actually despise them and will go out of their way to avoid them." First of all, I'll leave aside the fact that you're drawing broad conclusions from a very small sample (unless you received many more responses by e-mail than you did in the Mobileread poll). Judging from the Mobileread responses to your poll, I think it's fairer to say that the readers who dislike serializations have not yet encountered serializations done in a professional manner, so those readers still associate serializations with permanently unfinished work. But the wild popularity of certain types of serialized Internet fiction suggests to me that well-planned serialized e-books will likely find a wide audience, once they're more common. Regarding Teel's approach: That's exactly how I serialize my omnibus e-books (though I haven't done it at Smashwords, because of your ban on serializations). By the way, I very much appreciate how you asked people what they thought of serializations. I like the open approach you take at Smashwords to feedback. There's a lot of factors changing reading habits and publishing habits. Not just in what used to be print. In fact, this is the perfect climate for serial novels! Look at broadcast television's success with series like Alias, Lost, Chuck... they've dropped episodic plots and embark on plot lines that make Dickens seem like the Andy Griffith show. There are a number of very promising projects in the works that combine multi-media with plain old written text, plus integration into social networking. and the integration into relationship marketing. I think we are kind on on a see-saw of good and bad here. As independent self-publishers, it's up to us, and smashwords, to police ourselves and prevent abandoned projects and incomplete serials. On the other-side as self-publishers and being independents in competition with the traditional mainstream we need to accept all comers who have quality products to sell no matter the way they come. Reaching a middle ground is difficult and automation can't always catch all exceptions (see Teel's example in previous posts) Smashwords can't possibly police this with automation and the costs of hands-on would be prohibitive. 1. All chapters/parts uploaded at the time of initial publishing. 4. Keep serials off the main boards! Too many chapters plugging the main stream is annoying to customers and writers. Put a button on the top of the page to "include serials" in each category so the viewer has to be proactive to see them. The only other addition I would have is place a limit on how much each serial piece can charge. It would eliminate customer dissatisfaction of producing 10 chapters at $0.99 and the last at $9.99 to boost the sales and finish the series. Oops. 4 coniditons above. Sorry about that! I understand the desire some authors have for writing serials; after all, I am one of those who was heart-broken to see Lost ending. However, as an author of complete novels I know the time and effort I put into finishing a story before uploading it for others to read. It isn't easy. It would be much easier to keep writing one chapter at a time and letting everyone read it as a serial. But then where is the gratification for me in finishing my work and the reader in reaching the last page and being satisfied (hopefully) with how events turned out? I don't read serials - ever - because I don't want to be limited in how much of a story I read at one sitting. Mostly when I read a book (With my busy schedule I still read three books a week) I want to read until I don't have time to read any more. If it's a good book I will push that limit past what is reasonable. Serials prohibit me from reading as much as I want with an interesting storyline, so I stay away from them altogether. My feeling is - allow serials only if you create a section for them so they are uploaded to that section and those who want serials can find and read them easily without having a half-dozen or so "new books" clogging the front page of Smashwords where those who don't read serials are looking for new - complete - books. Clearly in our society there is a place for serials, but they need to be in that place. Mark, the poll has a serious problem in that it only offers the options of saying you avoid them or prefer them. Even people who LOVE serials don't actually prefer them to other kinds of books. It also doesn't differentiate between real serials - which are a kind planned series - and incomplete books which are simply chopped up and offered piecemeal. It was actually a pulp style serial that got me interested in Smashwords in the first place. I guess the age of serials (which I love) and their ongoing stories has given way to the age of instant gratification, which is rather sad - though shows like 24 show that it isn't completely dead. I'll just reply in agreement to Teel. Continuting to update and adjust the price is a great idea. Also, the ability to notify readers would be a very useful tool as well. I too love the work you are doing at Smashwords as well, Mark. I am on here everyday. It has been an important tool in my quest to 'Free my voice'. Some great ideas can be found on another indie arts site called Sellaband.com. I like the believer/musician relationship that has evolved on that site, and the way the artist and music lovers can interact with one another. If looking for ideas, that is just one other example of some aditional functionality that could be adopted into the Smashwords platform. Some great feedback here on this post. Smashwords seems to be a great example of 'everything has been done before so find a way to make it your own'. I love the creativity that exists within these digital pages. Since I'm the one who posted the five-part story on June 6th, I guess I'm responsible for this installment of this debate. So first off, allow me to apologize. I'm new here and didn't realize it was frowned upon to publish stories in separate parts. Mark has since set me straight and my ebook is now a single entity. But I'd like to take this opportunity to explain my reasons for separating it. First, it was a complete story. I agree that it would be wrong to release parts of an unfinished story, and expect readers to commit their time (and/or money) to something that may never be completed. The reason I released it in parts was because I was attempting to generate feedback from the readers; either positive or negative. I made Part 1 free, and then charged .99 for each of the other four parts. However, I made an offer at the end of Part 1 to the readers: If they would promise to review the story, I would send them coupons to get the other parts free. The results of those efforts were a bit disappointing, but relatively successful compared to the norm. At the time the parts were merged, Part 1 had about 280 downloads. Of those, about ten took me up on my offer for the coupons. And of those ten, I received four reviews so far, and one of those reviews was from someone who didn't ask for the coupons. And another of the reviews got lost in the merge because it was attached to Part 5. Again, I'm new here. But from a newbie's perspective, it amazes me that books which are leaders in downloads, and have been available for a year or more - and more importantly are pretty good stories - have been given feedback from the readers very rarely, if at all. As a writer, it's frustrating to send your work out into the void, and never hear anything back. Even someone telling you your story sucked is at least something. But again, I apologize for making this discussion necessary. Won't happen again. Looking forward to seeing you all between the pages. Hi S. Wolf, absolutely no apology necessary! At Smashwords, our primary focus is to help connect readers with complete, finished works. You fit this requirement, and now that you've combined the chunks into a single book, you're all set. looking for helpful feedback and criticism on works-in-progress or partial works, communities such as WattPad.com or Gather.com are good resources. If readers here have other suggestions for good communities where writers are encouraged to post partial works, or works in progress, please feel free to add in the comments here. Maybe I'll do another post in the future to profile some of these sites. I see them as great training grounds for future Smashwords authors. Is Lord of the Rings an unpublishable serial??? Does a trilogy have to be finished before publishing any of them? As your workload grows, it will be hard to keep a lid on this sort of thing. Like policing for youtube and trying to weed out violaters. One easy metric might be length, a series of books might have to be 40k+ words each to be acceptable... This would at least prevent the "chapter of the day" syndrome. For what it's worth, I experimented with a serialized story on my blog, then published it to Amazon as a series of 10 ebooks. I did okay (well I didn't have any expectations, just wanted to see what would happen) but I got a lot of comments from people saying they didn't want to read it until it was 1 ebook. So now that it's complete, I have taken down the 10 ebooks and posted 1 complete ebook, both at Amazon and Smashwords. I only did it a week ago, so it's hard to say if I am seeing more or less interest, but it's certainly more convenient for all parties involved. Funny...I was just thinking whether or not my book (which has an introductory chapter, and then 13 chapters, each of which are a complete free-standing biography of 5,000 words on an entrepreneur) would make sense to offer not necessarily as 13 e-books, but as periodic 'installments'. It really depends on individual taste. I recently read a blog by an author who has had great success serializing her novel. She released an 80,000 words novel in four chunks of 20,000. Maybe the readers didn't feel ripped off because they got a large portion of the book with each purchase. With no right or wrong word count for ebooks, I've read completed works at 20,000. Did this get sorted out? The www - the wild world of words - seems like the ideal place for the oddball content. A serial category and less obtrusive display seem a simple answer. As a publisher of serialized novels, I've got a bit of an interest in this. There's absolutely a place for serialized novels (not everyone insists on instant gratification), but I do think a lot of readers have been put off by the risk of a never-ending expense and/or a novel that never actually ends. Our answer at Every Day Publishing has been to a) require that the complete novel is submitted before publication, so that even if something dire happened, subscribers would get everything they'd been promised; and b) to charge one single up-front price for the complete serial. Readers tend to be much more confident about committing to a serial when they know they'll get exactly what was promised for exactly the advertised price. For now, we're managing the subscription delivery on our own website, but I'd certainly be open to looking at anything Smashwords might introduce in terms of a serials section and/or a specific delivery mechanism/functionality for serials. Apologies; the above, attributed to "unknown", should have my name on it. Not sure what went wrong when I posted it. I love serialized stories. I haven't really explored them as ebooks, but I enjoy them as comic books and tv shows. I love cliffhangers and the anticipation they engender. I think that it's something some people like and some people don't; serialized stories are just different from novels. I think that rejecting a serialized story because the ending might not come is ridiculous since often the ending doesn't come or is a disappointment, but people enjoy them nonetheless. It's about the journey, the anticipation, and the delayed gratification--not dependability or resolution. Hi Mark, J.H. Soeder here. I have my books on Smashwords and am in the process of writing a science fiction 5 part series. Each book is not "unfinished" but similar to serials like R.A. Salvatore, or even the Harry Potter. These could be called "serials" but people kept on reading. I think serials are great but prefer each book to also standalone so you only continue on if you love the world the author has created. There are tons of standalone yet series' of books in traditional publishing such as the amazing Philippa Gregory books. I did leave a comment but it was never answered. One could pick up the second book of the Hobbit and start reading it, or Harry Potter or as I had mentioned earlier R.A. Salvatore. But they would not get the full gist of the character and how he/she is built over time through the words of the author. Truthfully I think it is a matter of taste. There are many of those out there who fall into the category of immediate sense gratification. The Burger Kings and McDonalds of the world have us trained into thinking one should just open a book and finish it in one sitting. With the workaday world people don't have time to spend reading a 100,000 word tome. As pointed out by some of your blog comments, there are many groups out there who find no fault with a series. I think that when one opens a site to the public as you have, there will be people who like it and people who don't. The truth is you are still making money for your efforts. You have also opened the doors to people who otherwise may not have had a chance to publish and always was their dream. So is that dream now taken away? Again, it probably (and I agree) is in the wording. Now having written four parts in a five part series (they even do it on television), each volume is over 25,000 words. The bottom line is how many people buy it and like it. Just keep up the good work of giving everyone a chance to write. Otherwise it becomes a "closed club". When I heard of serialized e-books, I thought of something different than what they have turned out to be -- a traditional novel cut into chunks. My reaction is why? When I think of a serial, I think of something more like a TV series that goes on and on until the audience tires of it. Why not have an e-book series with a group of wonderful characters people can love (or hate) having adventures in episodic format? Fans could comment and, perhaps change the course of the series. Maybe they could submit portraits of characters, come up with their back story. In the case of SF, discuss the technology or the world. Your poll wasn't very good, sorry to say. Where was the option for "I'll read either" or "I don't have a strong opinion"? You have to look at context where serialized novels are concerned. At time of their heyday, they were used to sell magazines. I own a bound edition of Harpers Magazine from 1852, which includes Dicken's serialized Little Dorrit. Harpers was always an interesting magazine, and it is said that people lined up at the post office when the magazine was due to be mailed, so they could find out what happened in the next chapter of that story. In order for a serialized novel to do well, the writing must be compelling. It must then be published in the context of a serialized novel - that is in an e-magazine that publishes a combination of novels, stories and articles. And, when the reader picks it up, he needs to know that it is a serialized book. Well, this was written in 2010, and I can tell you that seialized fiction has caught on. Serialized fiction gives fans a better chance to engage with the author, and it gives the author more a of a chance of hear from fans. Sites like WattPad have really changed people's thinking. Of course, it does get ugly if a story goes unfinished. I'd like to see this post and polling updated. What about a series where each 6,000 to 10,000 word episode is a story in the sense of TV episodes? What should such a thing be called? Is it simply a series of shorter works? Thanks for the data!